Horses need “long-stem” fiber in order to keep the digestive system functioning properly. By long-stem, nutritionists mean about 2 inches in length or more. Hay or grass pasture typically fulfill this requirement. Sometimes, horses have dental problems that prevent us from chewing traditional hay or pasture properly. Other horses travel a lot, and need a consistent source of good quality forage. Still, others need an extra, low-starch source of calories to maintain weight. Forage alternatives are really great tools for all of these purposes. 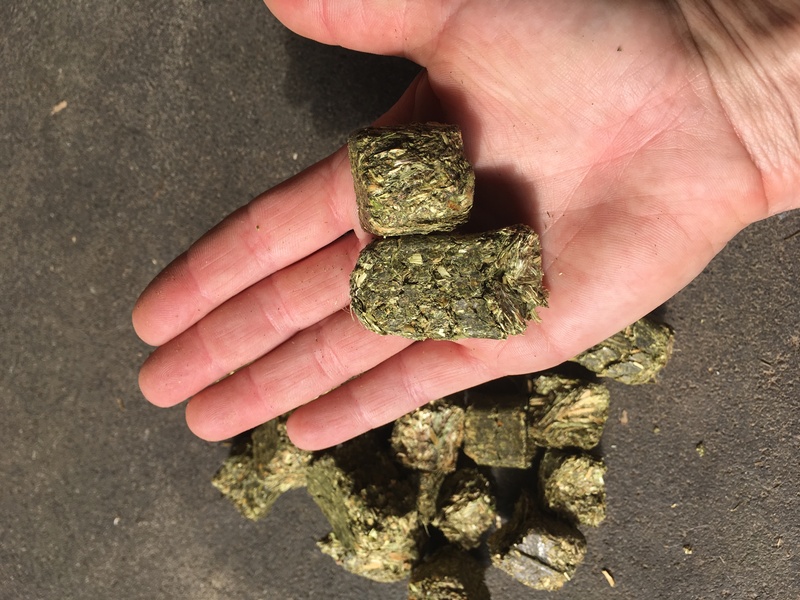 If you’ve been around a feed room, you’ve probably seen hay cubes before. Hay cubes are compressed cubes of chopped hay that look like squares or rectangles. They can usually be broken apart by hand. Hay cubes usually come in the form of all timothy grass, all alfalfa, or a mix of both. Hay cubes can be soaked in lots of water to make them easier for older horses to chew. And extra water is always good! Hay cubes do provide some longer stems and are pretty consistent in nutritional value. Hay cubes can be fed dry, but only to horses with good teeth who don’t have a habit of eating too fast. But, I say soak ‘em if you got ‘em! 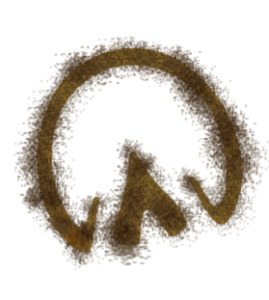 Hay pellets usually come in 2 sizes – small (like regular grain pellets) and large. Horses often eat hay pellets faster than traditional hay because the smaller, ground particles are easy to chew and swallow. Hay pellets also do not provide any long-stem forage. However, for horses with poor teeth, soaking these pellets can still provide important fiber and nutrients. 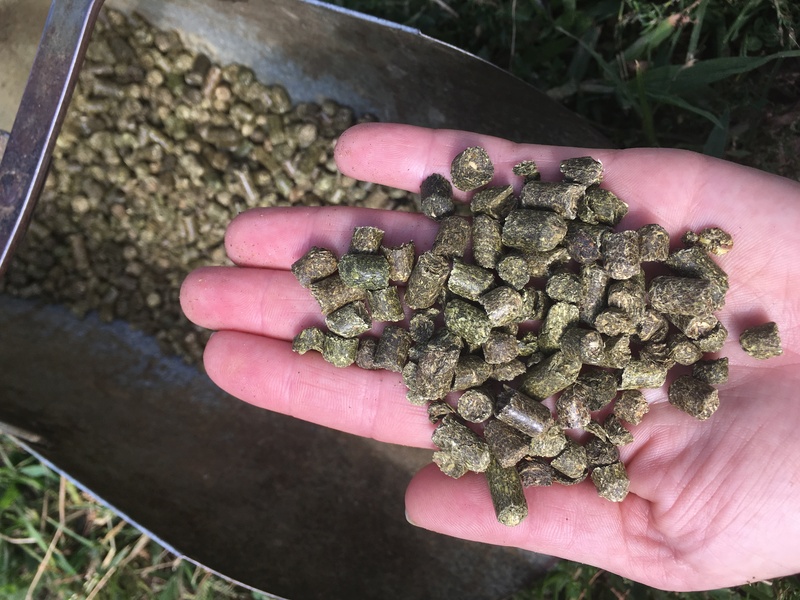 Some hay pellets are “complete,” meaning they contain all the vitamins and minerals a horse needs to stay healthy. For horses in good health, hay pellets are a way to supplement existing hay or make a good snack while traveling. 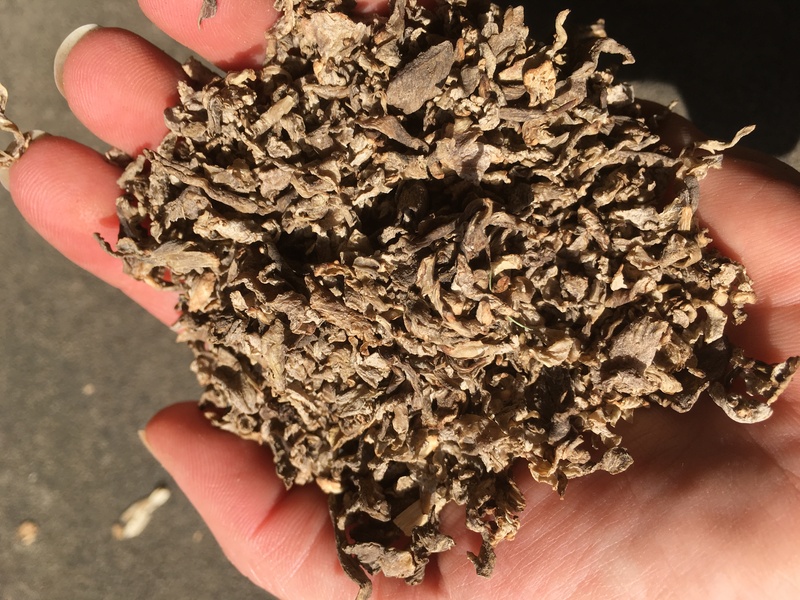 If you find that your horse needs a forage supplement, consider his/her individual needs and the experts here at the Equine Science Center can even help you make a good dietary decision!